This summer solstice the family and I traveled to PSG for a week long adventure in pagan community, music, celebration, ritual and camping hosted by Circle Sanctuary. It was my 5th time attending and once again I found that a great love and understanding permeated every interaction that I came across. The first time I attended, I lost my phone card and someone tracked me down just to give it to me again. I can leave a folding chair anywhere for a whole day and not worry about someone taking it (very different from my own front yard!). Besides a great deal of trust that flows throughout the festival, it is wonderful to see how our pagan community really works. Activists, musicians and pagan leaders are accessible (I chatted with activist Patrick McCollum, author Loren Cruden, musician Arthur Hinds, some members of Spiral Rhythm, pagan leader Selena Fox and the editor of Circle Magazine, for example). Also, if you, yourself has a special talent, you are encouraged to make a contribution. No where will you find more of a safe and supportive environment to let your talents shine. Last year I attended a chant circle and shared some of my own original chants. I received such a strong, positive feedback that this year many were looking out for me specifically to hear more of my songs! A few even sang some of my chants back to me and told me that they had been sharing it with others all year!! This year I found the courage within me to sing an original song on-stage at the talent show (probably around 500 people in the audience). That’s us in the picture!! This is only the second time I have sang on stage (the first was when I sang the Cranberries song, Zombie for a neighborhood block party). My two friends JJ and Tulie got up there with me to accompany me with their voices part of the time and a djembe and a rattle and we rocked!!! So much so, we are deciding to start a band!!! Youtube videos are shortly in my future so that others can use my chants if they wish and I’m sure my friends will be joining me singing a few of them. Side note: if you are close to the Quad Cities Illinois area, can play an instrument and are wanting to take part- LET ME KNOW!!! I feel so blessed to be part of this amazing community. As Pagans and Wiccans, we are all making history as we are some of the first generations to be part of this growing earth-based religion! I am feeling myself emerging from my cocoon with new wings and ideas. New definitions of who I am and what the world is have begun to sprout and soon I will be taking my first flight into unknown territories. Since Beltane night I have been exploring what it is to journey with transformation in mind. All of us evolve and shift our ideas and actions over our life times. Welcoming growth and life-affirming change is needed on a continual basis in order to stay away from the stagnant waters of our soul. So what have I been doing? Well, let me tell you who I used to be at 13… I was a wild child of the woods, a fierce lover of anyone I could get my hands on and make-believer in the true world of unseen mystery. I sneaked out during summers to see the heat lightning dance above the fields. I stole away to ponds and rivers to write poetry and make my offerings of teenage kisses to nymph queens and kings. Facing my fears of wild… Cougars have begun to roam again in Illinois again, too. After over 100 years they are back. The chances of running into one is rare. The chance of being killed by one is even rarer (19 people have been killed in the last 100 years). However, a fear so deep has struck me. I have been finding myself scared to go into the woods alone lately- but my wildness refuses to leave me alone. My body aches to be out among the dense trees- listening to their mysteries. I have decided that to live a life away from the woods is no life for me. So I have studied on how to act if I see a cougar (don’t make eye contact, walk away slow but never turn your back) and if one tries to attack (act like a crazy wild animal and scream at it). If I end up eaten at least I tried to really live my life how I need to and my body can become part of the woods again. Oh, so and now I hear news that my county is under a tornado watch…. Here is a sneak peak of some magic I have been working on lately… More info on that soon! Happy 100th post to me! 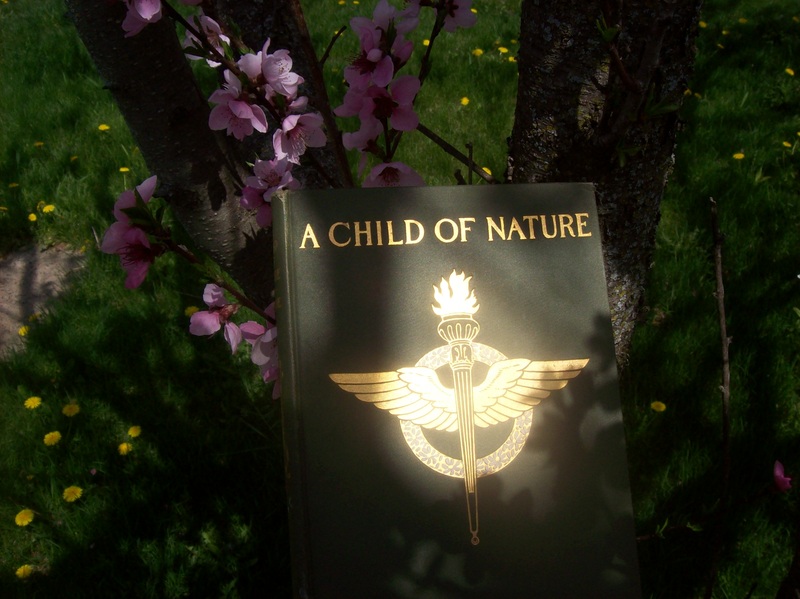 A Child of Nature by Hamilton Wright Mabie arrived this Beltane day. It is a first-edition 1901 book about the ecstasy of nature and spirituality. I am so excited- I am going to sit under my pink blossomed peach tree and read it among the buzzing of the bees feeding on the rich pollen and nectar around me. I visited the tree this morning while my children picked dandelions for their May Day baskets and the air was pulsating and vibrating with the busy bees chanting their melodies. 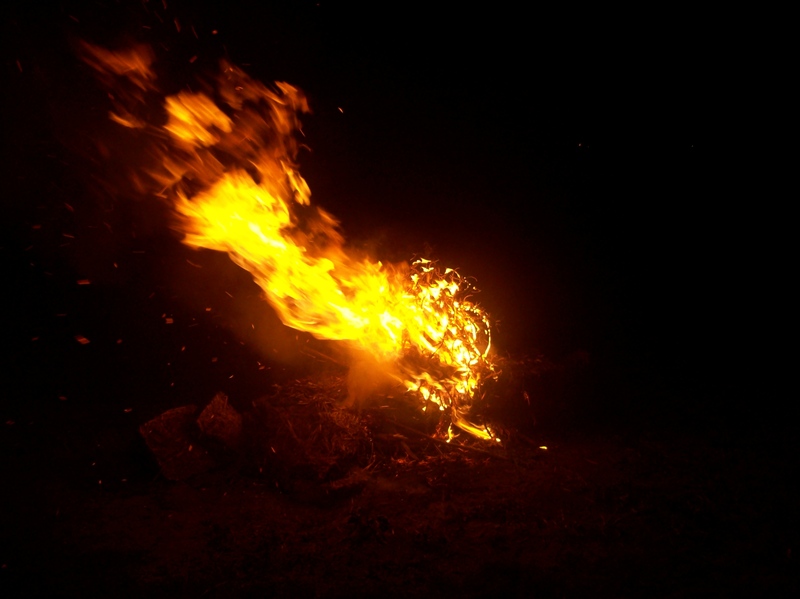 Happy Fire Jumping my friends! As a witch, I follow no one sacred book. We are all children of Spirit and so all of our lips speak eternal truths. However, many of us are in a cloud. It shrouds us with illusion- we perceive reality from a only a small perspective: like trying to know a large house by peeking in through the front door’s key hole. There are so many possibilities out there that we are unaware of. The writings of Kahlil Gibran light me up from the inside- it reminds me of my own luminosity housed in the hearts of all creation. His poetry is like that cloud of illusion lifted. His words comfort, inspire and dance in my head like a new found lover. I feel like I can take his poems and fashion them into healing charms and love spells and chant their sacred words to wake the dead. I started reading his books just two weeks ago. I found the book Secrets of the Heart among my grandmother’s things when she moved into a nursing home five years ago, however I never started reading it until recently. It was always one of those books that beckoned me to keep it around, glance at her signature printed neatly within the inside cover every once in a while. I thought the book was strictly Christian (which it is not-) and so I never bothered to do much more than skim it. But now that I have reached a new point in my spiritual path- where I honor all paths- I was pleasantly surprised when I began to read. And then by fate’s grace I came across a large book in a thrift store that contained many (it not all) of his writings, The Treasured Writings of Kahlil Gibran. Kahlil Gibran was a true mystic- he followed no one religion- all inspired him and he wrote of the Spirit of Love as his guide. His writings contain many figures- including the Goddess herself. He was born in Lebanon into a Catholic family but was surrounded with those of many faiths and later as a teenager he moved back and forth between the United States and Lebanon. His family history was tragic- his father was imprisoned as when Gibran was a child and his mother, brother and sister all died of illness in his adolescence (I look up to anyone who can survive all of that) even his own lifetime love could not rightly marry him due to her family’s conservatism. However, the words that flows from him speak of joy, beauty and truth and point to the great mystery of the soul. He was also an artist and a fiction writer and knew Carl Jung (which makes him instantly cool, by the way). According to wikepedia, he is the third best selling poet of all time. His picture is also quite dashing, no? And so it is with his words that I have been recharging this last week. I feel like the process is not fully finished, but I wanted to peek my head out of my hole for a bit to sing my praise of this wonderful writer. I’ve decided to take a one or two week break from the computer world. I am on here too much and I am begining to feel a little too bombarded with the mainstream culture- which may be the reality for some folks, but for me, my reality needs to consist of night walks and face to face laughter. 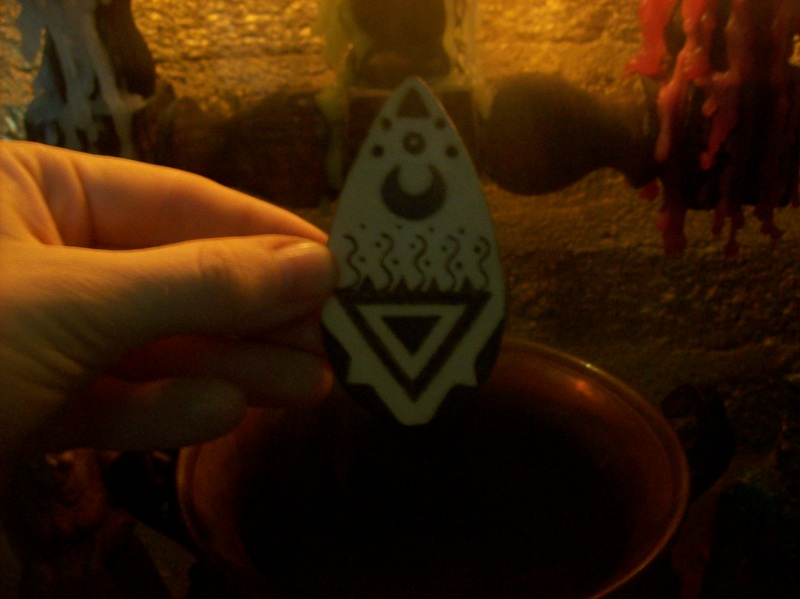 I need to bury myself in the smoke of my new Hemlock tree incense and reroot myself in the wildness of my true nature. Except for school work and to check the status of my etsy store… I am choosing sunlight over computer light. I keep seeing that Tarot card in my head where the person is immersed in illusions… this must be me now, for the internet world, as lovely as it is, is not a substitute for the breath that cycles through me, beckoning me to be free for a while from technology. I have a weekend ahead of me full of drum circles, nature hikes, pagan children groups, painting and home renovation. This weekend I call back the wild within. I want to pay more attention to the real: my childrens’ play, my husband’s kiss, my meditating heart and my garden to be planted. And so I will be back, but only after some hard earned spiritual recharging that doesn’t take an electrical socket!